Reprinted with Permission from Two Men and A Truck. Picture this: Its moving day. The day you’ve been obsessing over for weeks. You have packed and organized and then reorganized. The movers have pulled up and started loading the truck. Half way into your move you are told they can’t move some of your items you have packed up. You think to yourself, “so much for a perfect move.” Frantically you start emptying boxes trying to find a way to transport the non-moveable items to your new home. There are laws prohibiting moving companies from moving certain items for you. TWO MEN AND A TRUCK® wants to help you avoid this scenario by sharing exactly what items moving companies will not move, also known as non-allowables. Safety is a priority at TWO MEN AND A TRUCK®. We want our workers and all of your belongings to be safe and protected. There are four categories of non-allowables you should be aware of before your move. These items cannot be moved by TWO MEN AND A TRUCK®, or other moving companies, for a variety of reasons. Perishable items can rot, smell, and spoil in the truck. We recommend planning meals a few weeks out from your move to be sure you have eaten all perishable items. If you still have some at the time of your move, you will be responsible for transporting them or giving them away. Perishable items include fresh foods, frozen foods, refrigerated foods, and produce. TWO MEN AND A TRUCK® does not transport any living things. Whether you have a plant, pet, or both. Depending on the weather, the trucks can get very hot or cold inside. In addition to the sometimes extreme temperatures, there is a lack of air flow in the trucks which can be harmful for your plants and furry friends. No matter the circumstance, moving companies will not move any flammable, explosive, or corrosive items for you. If you want your lawn mower, weed wacker, or snow blower (or other machines that run with gasoline) moved, it is your responsibility to empty the machines. Examples of hazardous materials include fertilizer, fireworks, fire extinguishers, batteries, household cleaners, weed killer, gasoline, and propane tanks. *For a complete list of hazardous materials we will not move, contact the franchise you will be moving with. Personal belongings have a lot of sentimental value and have different levels of importance to our customers. We do not move prescription drugs for a few reasons. We would never want to pack anything on the truck that our customer may need if they suffer from a life-threating illness. It’s best if the customer keeps their medications with them during the move. The American Moving and Storage Industry recommends that you “take valuables with you. Cash, coins, jewelry, photographs, and important papers should be taken with you or sent ahead separately.” Moving companies will not move firearms, fine jewelry, keys to safes, and other sentimental items of high importance and value to you. If you have items you can’t live without, we recommend keeping them with you during your move. *If you have questions about what personal or sentimental items we can’t move for you, call the franchise you are moving with. The four categories listed above are examples of items not permitted on the moving trucks. In order to avoid dealing with last minute conflicts, it’s important to be aware and either move these items yourself or dispose of them properly before your move. Develop a plan ahead of time so you are prepared for your move. Note: It’s important to understand franchises might have different policies and may or may not move certain items. Contact the franchise you will be moving with for a complete list of non-allowables. 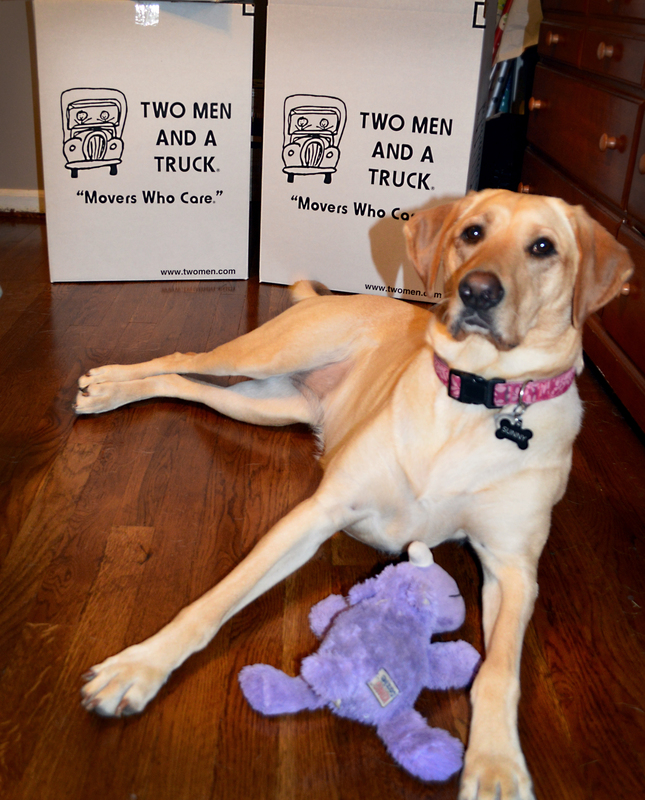 TWO MEN AND A TRUCK® is the first and largest franchised moving company in the United States. Let us help you move you forward! For more helpful tips and information on moving services subscribe to our blog and like us on Facebook.